Brad Powell is a product liability litigator and trusted advisor. For more than 20 years, Brad’s legal practice has focused on defending product manufacturers in the automotive, aviation and pharmaceutical industries. He has handled cases for clients in more than two dozen states, including difficult venues in Alabama, Arizona, Illinois, Nevada, Pennsylvania, Texas and West Virginia. Brad also has handled product-related class actions, sexual harassment and retaliatory discharge matters, industrial construction disputes and trade secret/noncompete litigation for his clients. He frequently advises companies on compliance with regulatory requirements and provides guidance during investigations conducted by government enforcement agencies. Brad’s dedication to his clients has earned him recognition from his peers in the legal industry. He is routinely listed in the The Best Lawyers in America© for his product liability work. He has also served as an adjunct professor of Civil Procedure at the University of Alabama School of Law. 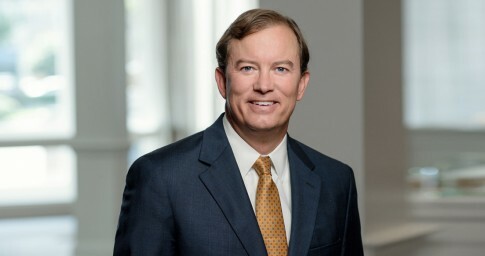 Brad is a member of the Defense Research Institute (DRI) and the Trial Attorneys of America, an organization of trial lawyers and corporate counsel devoting a substantial portion of their practice to product liability defense. When he’s not practicing law, Brad enjoys running, fishing and spending time with his wife and daughters. Providing national and regional representation of multiple Fortune 500 manufacturers in crashworthiness, handling and stability, and catastrophic injury matters. Defending a Fortune 500 manufacturer in multidistrict litigation and numerous state court cases nationwide related to alleged product defects and compliance with FDA sales and marketing regulations. Representing a general aviation aircraft manufacturer in cases related to aircraft climb performance and FAA certification issues. Defending consumer product manufacturers in property damage and personal injury cases, including workplace injuries, electrocutions, electrical fires and inhalation injuries.